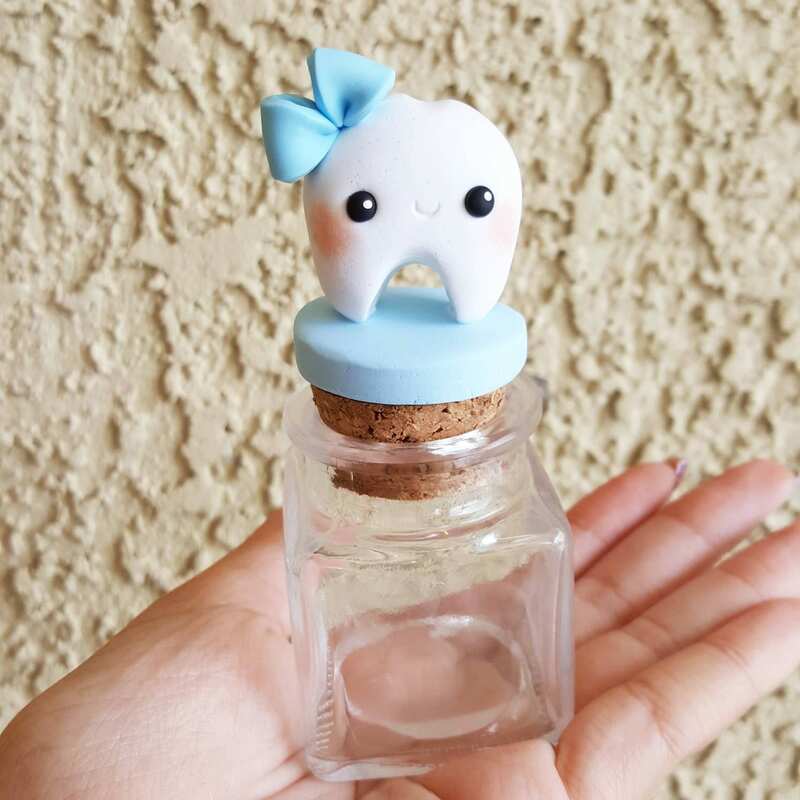 This cute little Tooth Fairy jar is about 4" from the top of the ornament to the bottom. The jar itself is about 1.25" from the bottom of the cork to the bottom of the jar. It's wonderful for a keepsake item to store all your child's teeth or use it for the tooth fairy to come and collect your child's tooth at night. See the difference with our polymer clay charms. Each charm is carefully handmade and sculpted from the best brands of imported polymer clay from Germany. We reinforce our charms with wire and also liquid clay and insert our headpin inside each charm. Then each charm is cured to the perfect temperature and cooled. >U< Each polymer clay embellishment is handmade and enhanced with shimmer, glitter, and rhinestones (if applicable). Please note these jars are not toys and children should always be supervised when handling them. We do retain the copyright for our kawaii polymer clay style.